March 9th marks a special day for my husband and I, as it is the day we got married back in 2008. Because our gift plans were a bit extravagant this year, we decided to keep the dining out part a bit more simple. We chose to visit Pescada for lunch and it was just what we were hoping for. The decor has a cool modern vibe with the turquoise accent walls, white furniture and small succulents adorning each table. 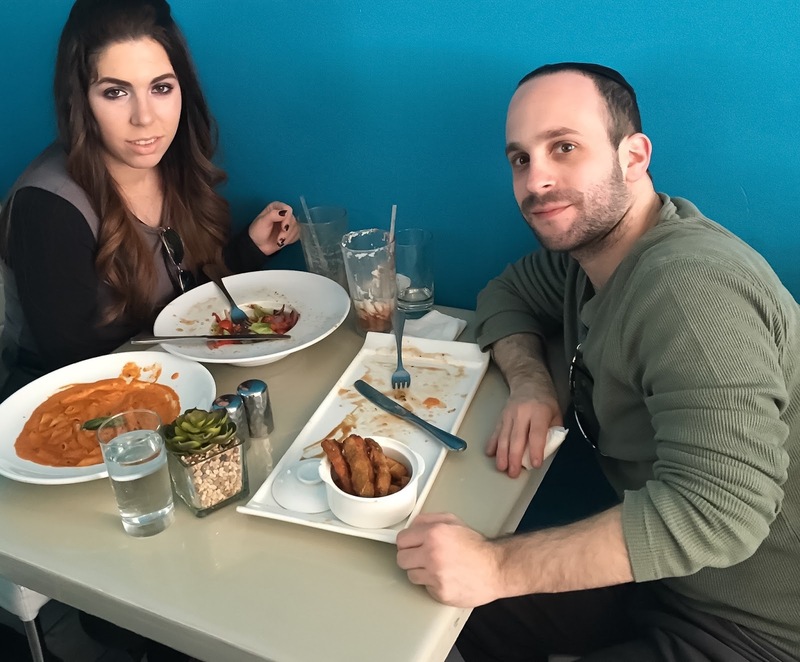 It was the actual food that really impressed us! The staff was really nice and accommodating from the moment we walked in, even with a full store at hand. Our waiter was very helpful with recommendations and explanations. The food came out fairly quickly as well. The prices were extremely decent and the actual portions were enormous. Our drinks came out first. I chose an iced Toffee Caramel and I've completely forgotten what the other one drink was called as it was recommended by our waiter. 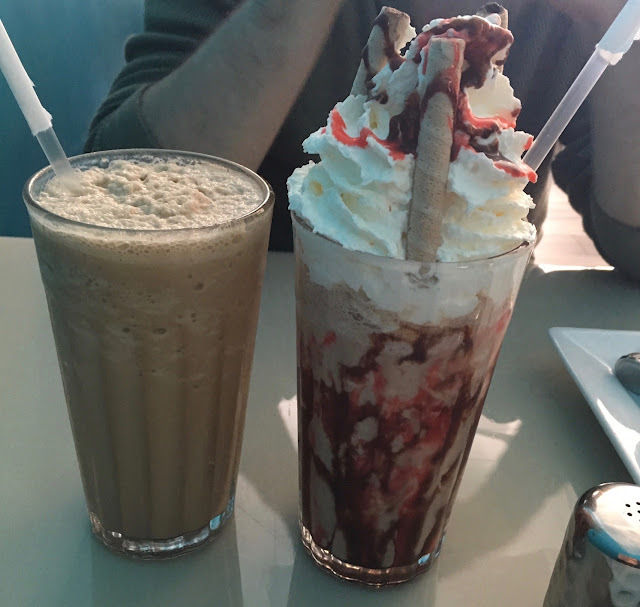 They were both super tasty and refreshing! 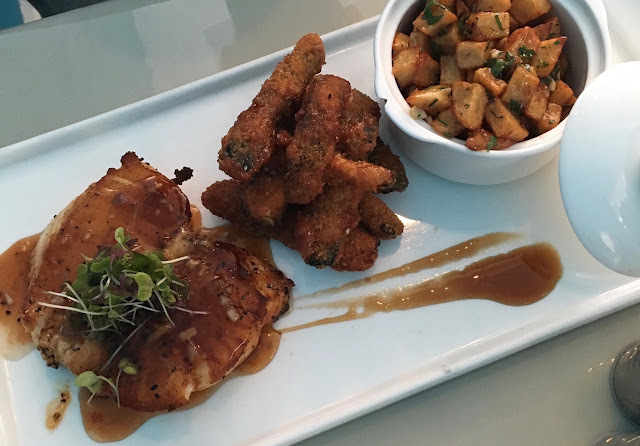 My husband ordered the miso glazed seabass with a side of zucchini fries and pescada fries. The plating was done exquisitely and as we are both big fans of seabass we are both a bit particular about how it's served. They did it perfectly! The fries were delicious as well. 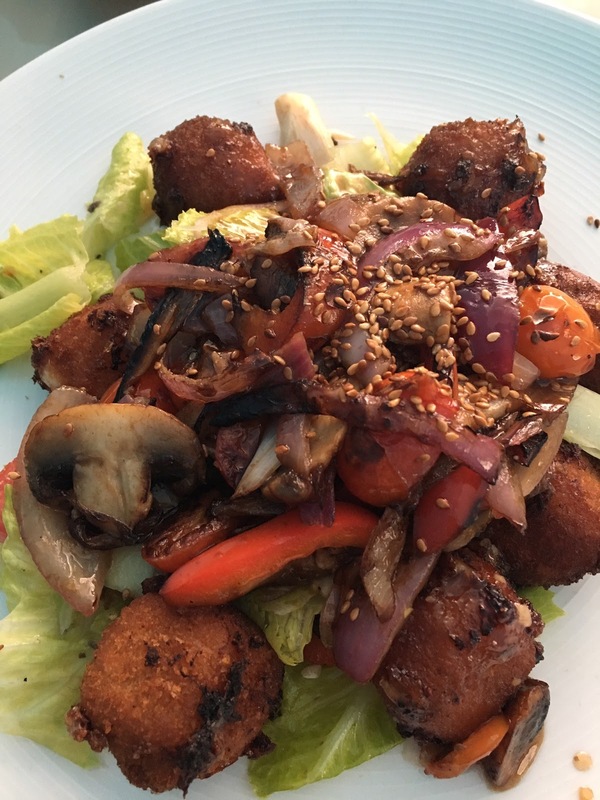 My favorite thing served was my warm haloumi salad. I've tasted plenty of haloumi salads because I really love haloumi and I have to say I've never had one that measured up to this one. The base was romaine and it was topped with loads of grilled veggies. The actual haloumi balls were just right in size, breaded nicely and coated in a yummy glaze. The dressing was really tasty and complimentary too. I ordered a Penne Rose which I ended up bringing home and reheating for dinner because I was so full! 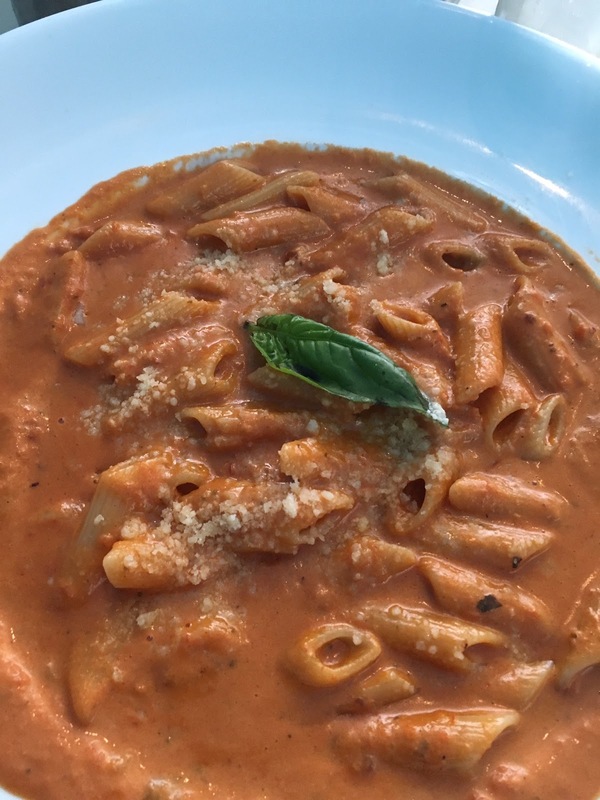 I loved that it wasn't the typical pasta sauce served in every dairy restaurant lately. The fact that they didn't load it up with basil- my least favorite flavor, was also great! You may think that I always write positive restaurant reviews, but the fact is I spend a lot of time researching before we eat out since we don't do it very often as we like to reserve it for special occasions. I am usually able to gage whether or not I will have a good experience somewhere and find food to my taste, in ahead of time. This is the reason these posts often have a slightly more positive tone. We had an absolutely lovely time at Pescada! We will definitely be visiting again, perhaps for dinner next time. I literally have not one negative thing to say. If there is anything you feel I have left out and are curious about, please do leave any questions and comments in the form below this post and I will gladly address them! Pescada is under the Rabbinical supervision of Rabbi Y. Gornish. 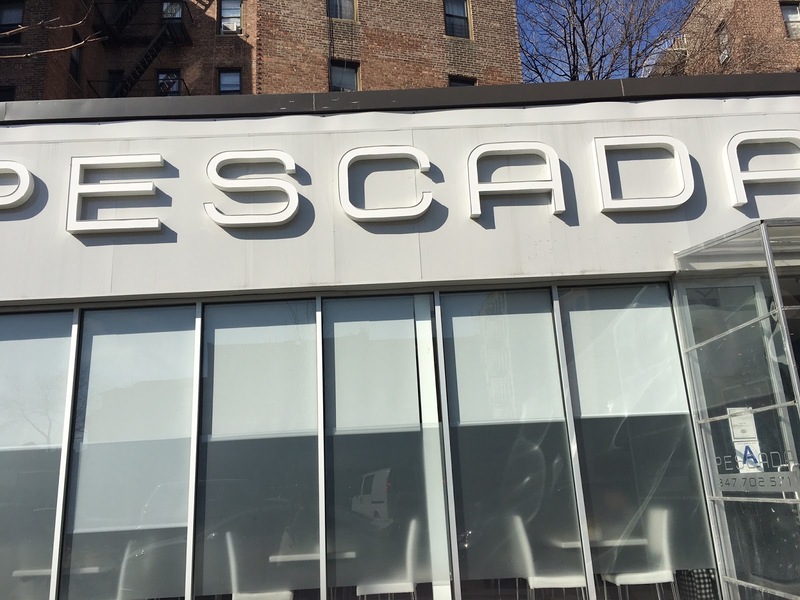 The restaurant is located on 509 Avenue P Brooklyn NY 11223. Their phone number is 347-702-5711 and they are open between 11:30-5 for lunch and 5:30-10:30 in the evening for dinner. This post was not sponsored. All of my opinions were honest ones based on my experience! 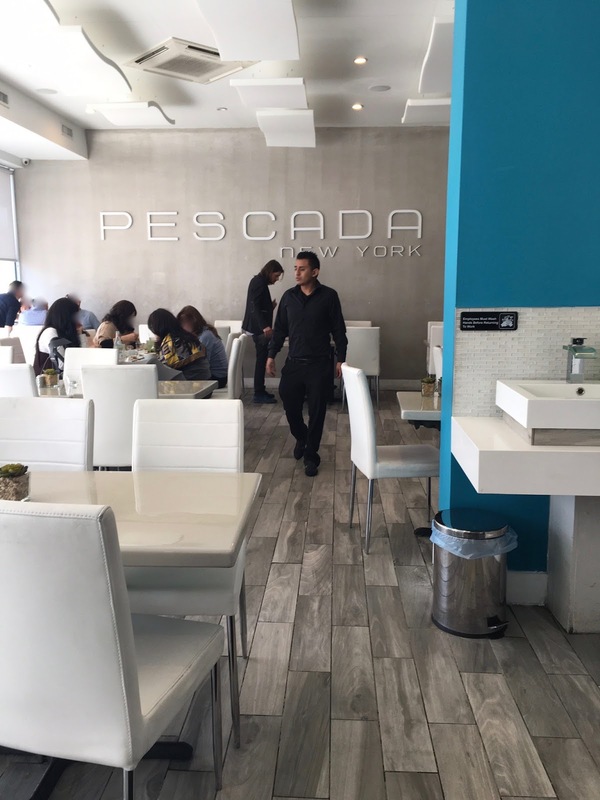 Have you been to Pescada? What was your experience? If not, would you like to visit and eat there?